PRI: PRI is short for Primary rate interface. It is a digital line that is used to deliver voice and data services. It is mostly used as a voice line that gives the ability to make or receive up to 23 phone calls at the same time. Because of this ability PRI uses significantly less resources than 23 analog lines. Also, they are generally much less expensive and more reliable. The break even point for using a PRI is about five or six analog lines after this point it is less expensive to use a PRI than analog lines. 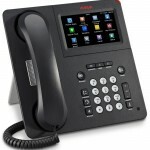 In addition to saving money you can generally get some added features such as direct dialing to an individual’s desk phone.